Veteran Norwegian black metallers Ragnarok have entered the studio to begin work on what will be the band's ninth full-length album. The, as yet unnamed, album is expected to be released during late May 2019 on Agonia Records. Work on the album is progressing well, with drum tracks having already been laid and work on guitars having begun. As with Ragnarok's last three albums, Psychopathology (2016), Malediction (2012) and Collectors Of The King (2010), the band has chosen to record in Sweden's Endarker Studio, with Devo (Marduk) once again producing, because, as Jontho, who has now switched roles from drummer to frontman, explained: "Why change something that works? We know the studio so well by now and how good the facilities are, and, after three albums, Devo really understands what Ragnarok wants and how we work. He's a great producer and we're really looking forward to seeing what he does the new material." 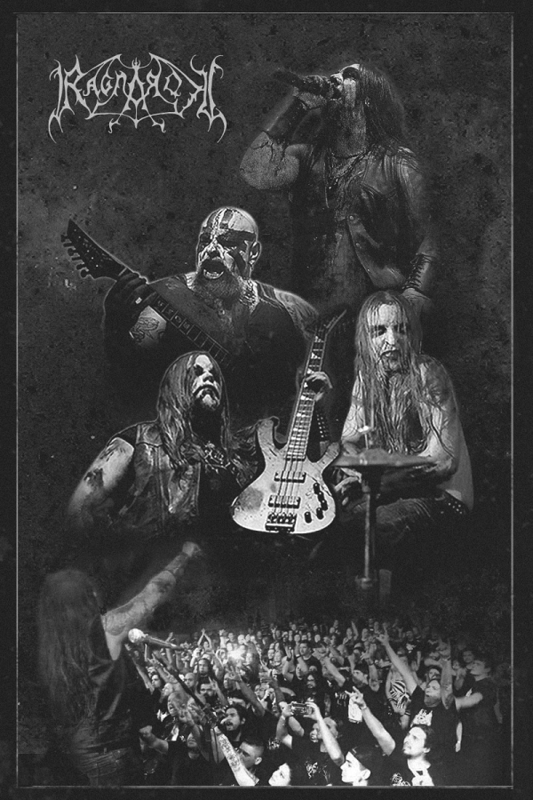 Ragnarok will head for Canada later this month to appear at the Messe des Morts Festival in Montreal, and have been confirmed to appear at next year's legendary Inferno Metal Festival in Oslo, Norway on the 19th April. This is excellent. Psychopathology is a good album so I am sure that this next one will be just as great.